We’re having a yen special today, brothas! Check out USD/JPY and GBP/JPY’s charts and see if you’d like to take these sweet setups that I’m seeing. Get ’em while they’re hot! 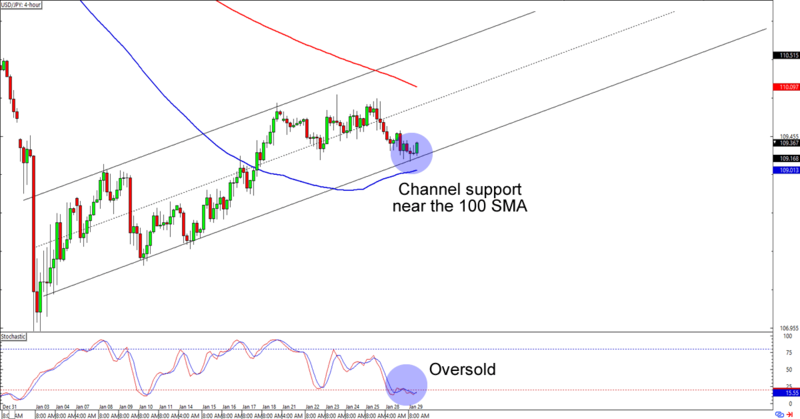 USD/JPY looks like it’s turning away from the 109.25 area, which isn’t surprising since it lines up with an ascending channel AND the 100 SMA support on the 4-hour time frame. With stochastic chillin’ like ice cream fillin’ in the oversold territory, you can bet that other bulls are already looking into buying the dollar. 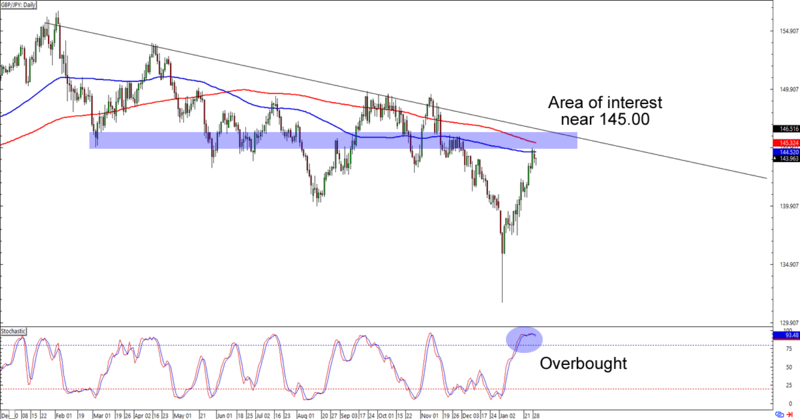 A long trade at the earliest signs of bullish momentum would give you a good reward-to-risk ratio especially if the Greenback pops back up to its 110.00 previous resistance level. If you’d rather short the dollar, though, then you could also wait for a break below the 100 SMA that we’re eyeing and trade a downside breakout of the channel instead. Whichever bias you choose to trade, make sure you’re practicing good risk management in your execution, aight? Can’t get enough of yen trends? Here’s another one for ya! GBP/JPY looks like it’s about to hit the 144.00 psychological level, which could cause problem for the bulls since it’s right where the 100 and 200 SMA are on the daily time frame. If you’re convinced that the pound still has some bullish juice on it, though, then you could probably wait for a retest of the 145.00 handle closer to the falling trend line that hasn’t been broken since the start of 2018. Planning on shorting the pound right now? I’m down with that, too, except Guppy has yet to pop up enough bearish candlesticks to sustain a downside momentum. In any case, we’re looking at the daily chart here, so y’all still have time to design your trading plans and take advantage of whatever move this pair is gonna make.